The Federal Government is set to disburse N25 billion to Nigerians under the National Directorate of Employment (NDE) and the Central Bank of Nigeria (CBN)â€™s agribusiness loans scheme. He spoke at the disbursement of N10,000, each, to 600 unemployed women and youths to empower them under the Directorateâ€™s Micro Enterprises Enhancement Scheme (MEES), graduation of 400 youths trained by the Senator in five automobile and residential security, as well as the flag off of training of one thousand persons in vocational skills. He said, â€œthis is part of the ongoing laudable efforts by President Muhammadu Buhari to further curb unemployment, hunger, poverty and youths restiveness, as well as their attendant unpalatable consequences. â€œThe Nigerian masses are the cornerstone of the present administration led by President Muhammadu Buhari, unlike what obtained hitherto, where only few individuals were regrettably cornering everything. 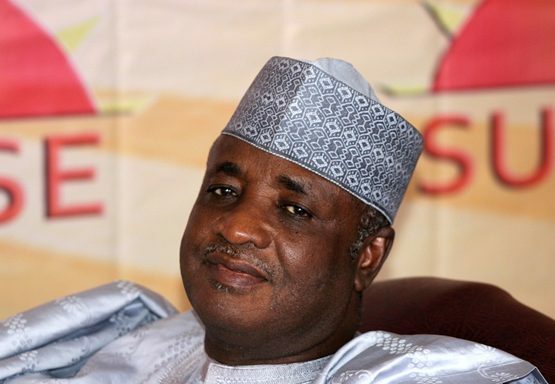 Wamakko also said, â€œYou should listen to the yearnings and aspirations of the entire people of the state, in line with the virtuous principles of good governance.